It should come as no surprise that we're constantly on the hunt to inspire you. 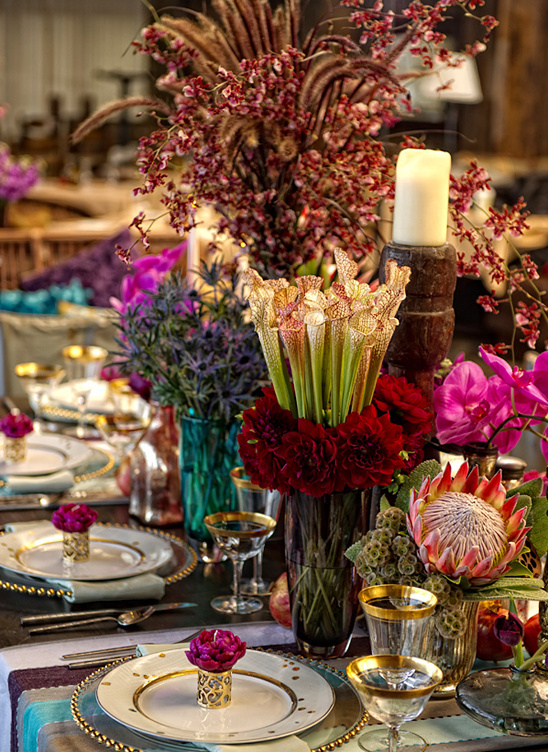 Weather it be a backyard diy wedding or an exotic bohemian tablescape, filled with floating lanterns, gold accents and jaw-dropping tropical flowers. 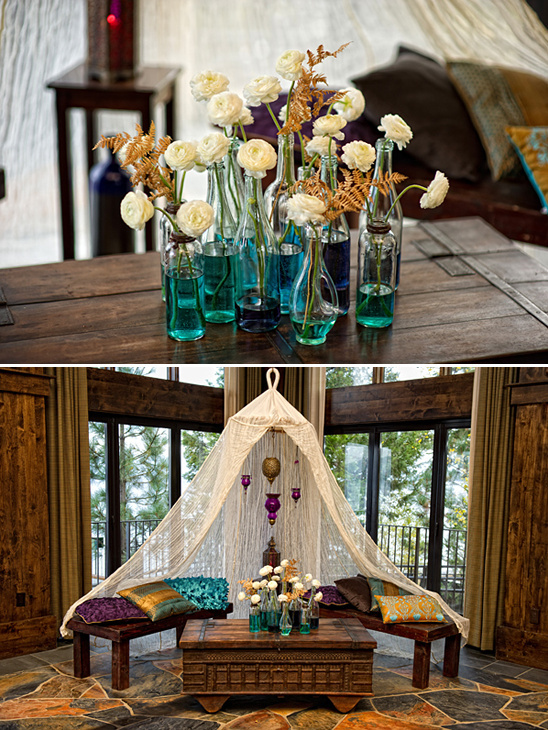 One Fine Day collaborated with Bellissima Floral to bring you all of this Bohemian wedding decor. 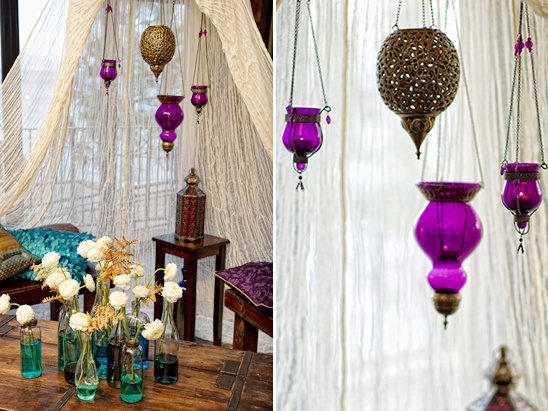 Perfect inspiration for the modern bohemian bride looking for elaborate yet relaxed wedding decor. Perfectly captured by Matt Theilen Photography at Lake Tahoe's West Shore Cafe. To see more of this inspirational shoot click here. 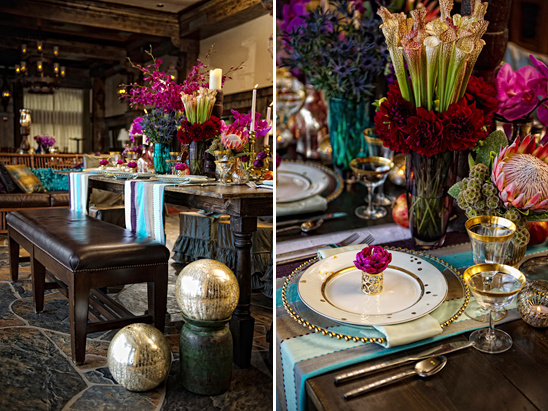 From Stephanie Anderson of One Fine Day Events - Matt Theilen, Bellissima Floral and I teamed up to create this romantic Bohemian dinner party photo shoot. The color scheme and theme were both inspired by an awesome striped shower curtain I stumbled upon in Cost Plus World Market. I fell in love with the blues, turquoises, and the texture of the fabric - I just had to make this work for a table linen. After developing the theme a little more and incorporating gold and wooden accents, we couldn't think of a better location to house this lovely soiree than the West Shore Cafe. The lakefront venue has an amazing Hamptons-meets-Tahoe vibe with the deep rich wood, Moroccan chandeliers, intimate atmosphere, and jaw dropping view of the lake. We incorporated rental items from Celebrations Party Rentals, linens and chair covers from La Tavola, and amazing flowers from Bellissima to complete the entire ensemble. The chair skirts added an entire note of whimsy and elegance to the look, as the wooden table brings you back to the mountains and nature. 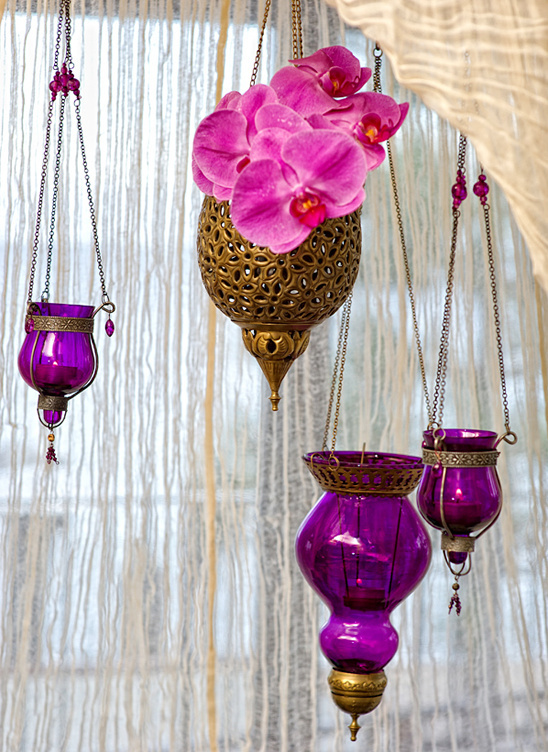 Throughout the design process, we really wanted to create a romantic nook for a couple to enjoy a cocktail with floating lanterns and unique decorative elements. So, we produced the lounge area under the canopy! 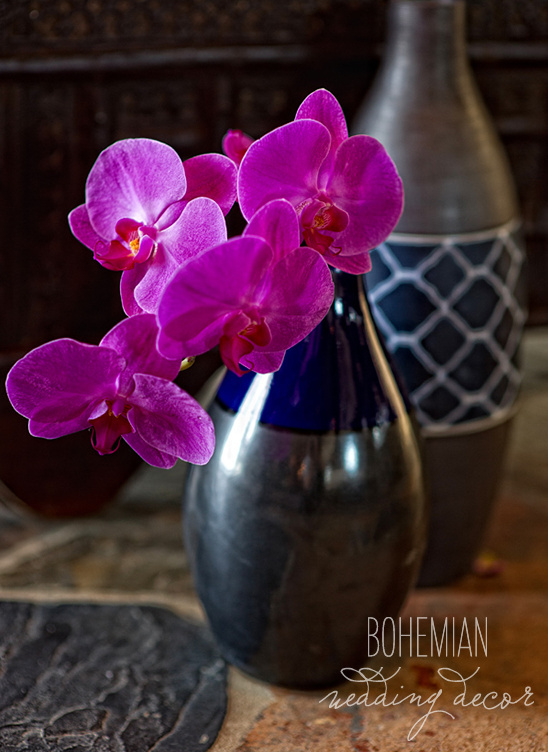 Bellissima Floral died the water in the vases blue to bring an extra pop of color to the palette and we covered the furniture in pillows to bring out the deep blues, turquoises, purples, and brown hues. The chest came from the West Shores cozy sitting room and it was the perfect finishing piece to the entire look!. For the dinner table, we paired Celebrations Party Rentals' farm table and chivari chairs with La Tavola chair covers and a long wooden bench! All of the dinnerware and glassware had a hint of gold to complete the color scheme and blend with our mercury glass and gold vessels. Instead of using napkin rings for their traditional purpose, we turned them on their ends and placed a fuchsia dahlia-shaped candle on top. Mercury Glass is so hot right now, but we didn't want to over do it....so we paired the mercury glass with gold wooden candle sticks and colored glass vases.